Take heed that ye be not deceived: for it ain't over, children. Ben Smith at Politico.com says that Hills will “drop out” on Friday. It’s not unlikely that Mrs. Clinton will make another speech on Friday that commends Obama, calls for party unity, begs for money…etc. What is unlikely is that the speech will be definitive. 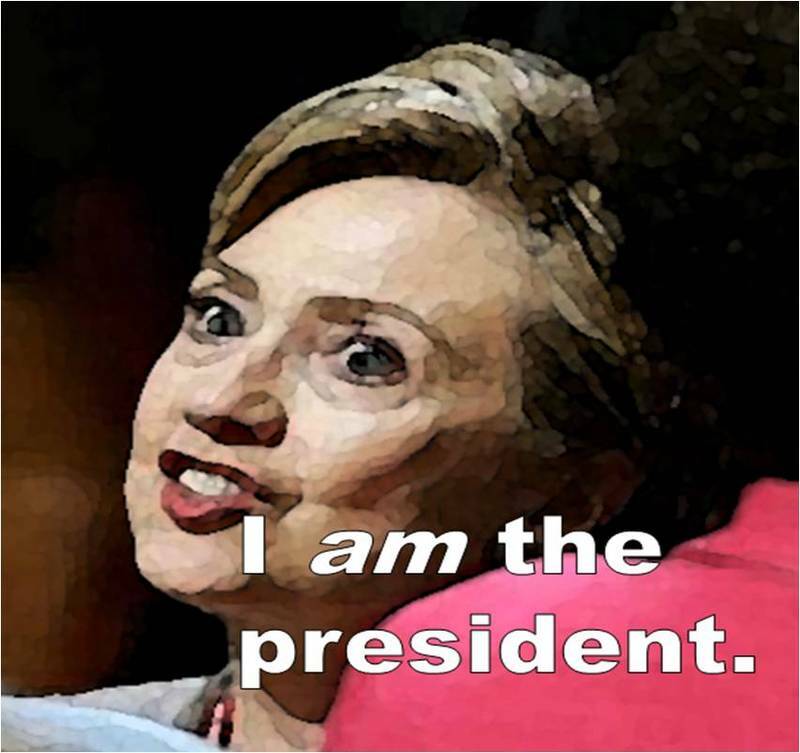 Hillary will not say, will not indicate, will not even imply that she no longer seeks the Presidency nor will she announce that she has categorically removed herself from consideration for the Democratic nomination. You will hear a carefully nuanced attention grab that leaves open the possibility of accepting the nomination at the convention. You will hear a speech that invokes the specter of a huge goof on Obama’s part between now and the convention—a goof/gaffe/Michelle-Rant-Tape-Moment significant enough to disqualify Barry, or at least to warrant a roll call vote or six. There will be no nomination by acclamation at the Democratic convention. In addition to relief and assistance with her campaign debt, Hillary will demand a shared spotlight. Her moment(s) to shine. Like a blister in the sun. As it were. Obama will not select Hillary as his running mate. He knows he’s not strong enough to manage Hills—much less Bills. Of course, this remains Obama’s challenge: to prove that he’s strong enough to do anything. He’s not, but he has to make the effort. Already the Iran posturing has begun. If McCain were smart enough to listen to good advice; to hammer Obama’s weaknesses (which are legion) mercilessly; to do a basic “these are the three things I stand for” type campaign, if if if…he could win. But this is unlikely. Months ago, Richelieu asked whether McCain had a strategy. We might still ask. 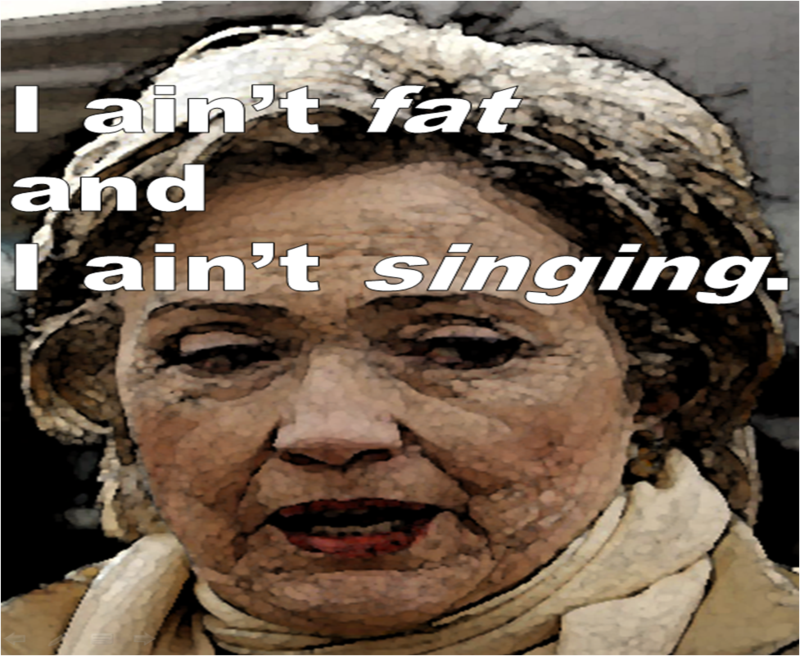 But Hillary….Hillary….Hillary….she’s down, and she may even be out…but like the reanimated corpse of her ghoulish marriage to Bill, her campaign exhibits signs of life despite the unmistakable presence of a rotting, reeking necrosis. But then psychotics operating with ego and super-ego entirely suppressed--driven solely by an enlarged id--do not make decisions. They simply act based on pure instinct. Pure animal instinct. Which animal? The NYT says it's a dog. Maureen Dowd observes that Hillary is an attack dog gripping Barry's ankle, refusing to loose her quarry just because BHO has collected a couple more superdelegates. Barry had best beware: his success must equal her failure in Clintonian-algebra. Imagine Bill AND Hillary showing up at your cabinet meetings! Phase One in Which Hillary Says Something Sorta Factual, Remains Crazy. Obama Camp is Offended. Never mind that Bill’s nomination was cinched in March. ‘Tis true and reasonable that the campaign for a party’s nomination can continue at least until all the primaries are over. That’s not crazy. I’m not even sure mentioning Bobby Kennedy’s death is necessarily crazy—the event offers stark evidence for her super-lawyer point—the campaign was still in full swing. Still gotta think it was a strange thing to cite, although more a sign of desperation than of psychosis. Had she said, “I was there at the Ambassador Hotel and tried to take the bullet for Bobby, but I wasn’t fast enough because I was getting take-out at Chez Jay with Peter Lawford”—well, that would have been crazy. But even then, only because Chez Jay is a long way from the Ambassador. "Senator Clinton's statement before the Argus Leader editorial board was unfortunate and has no place in this campaign," said Obama spokesman Bill Burton. Hmmmm. The statement has no place in the campaign, or Senator Clinton has no place in the campaign? Obama’s hypersensitivity not only to real criticism, to perceived criticism, but to any statement uttered by Clinton or McCain, whether about his majesty or not, has grown so tiresome. Anyway, why does it matter if Obama is offended by something? Am I Crazy Now...Am I Crazy Now? Sullivan claims Hills is crazy (to which, see); Prof. Althouse maintains, “Naw, Andy, this is litigation. Non-lawyers don’t understand.” Of course, in this case, they’re both right. 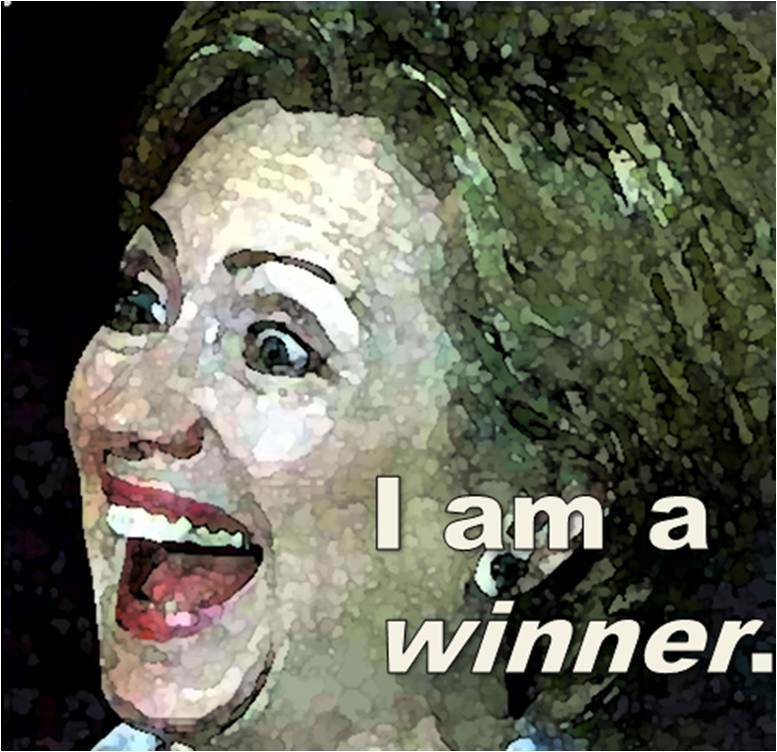 Hillary is crazy and she’s redefined the DNC’s ruling as a mere guideline, all lawyer-like. Let’s not forget that her career and success as a lawyer are legendary. Hillary is the smartest woman in the country…perhaps who has ever lived. Including Marilyn vos Savant. Uh, huh. I said it. Two things. Number one: back in 2000 there were multiple competing actors involved in the Schweinerei. A Republican candidate, a Democratic candidate, the U.S. Supreme Court, the Attorney General of Florida, the Governor of Florida, and perhaps others. Their parties were at odds, their personal agendas were at odds, and most importantly, there was no rulebook to follow. Small wonder that not all the players left the field satisfied. And B: In the case of Michigan and Florida c. 2007-2008, the DNC was the only player. There was a rulebook—the DNC wrote it. The three major candidates, all Democrats of course, were arguably the most important voices in the party. They could have done anything they wanted. If the Florida voters were disenfranchised, it’s because Hillary and Barry (and John) took their votes away. In a heartless and petulant way. Reminiscent of the unfortunate state of the nation that the civil rights movement of the 50s and 60s addressed to some extent. At least that’s what Hillary said. Hillary’s speech sounds psychotic and hollow not simply because it’s overt pandering for a chance to stay relevant, but because she’s blaming an enemy who doesn’t exist. (well, the enemy exists, and it is she) Invoking the Florida debacle of 2000 is tantamount to blaming President Bush for the DNC’s decision to ostracize Florida in 2008. It’s nutty. Although I suppose it does play to the generally held theory that Karl Rove controls the universe. So we can’t argue with Sully that Hillary’s crazy. She has indeed lost her tenuous grip on reality. My argument would be, why are you only noticing this now? Hill’s turned into the falling tree in the forest that no one’s hearing—or at least no one’s listening to. But on she goes. Why? People like Hillary, people who have been first lady to a state governor…then first lady to a U.S. president…then senator in her own right (sort of) live in a different world than all but the richest 100 people on the planet. Nobody ever tells her “no.” Hillary hasn’t heard “no” for 20 or more years. And that’s why this is so great. A Prozac moment? Or its opposite? Well, it’s not math, it’s called arithmetic, but they can’t do that in L.A. either, apparently. Wow. Hillary owes herself $11.4 million. Is it possible that this presidential quest will be the crisis that drives the Clintons back to the trailer park? A rags-to-riches-to-rags story? Probably not, but Bill’s going to have to spend a lot of time in China and Dubai making expensive speeches to cover this tab. “Consultants and other vendors” are waiting for $19.5 million. You can be sure consultants like the über-svelte Mandy Grunwald will get their cash. Less likely to see a dime, small business that delivered pizzas to staffers, rented copiers and office equipment, and those generally without media access. She’s going to “fix” the economy with fiscal good sense like this? In classic L.A. Times style, the author of the clip is astounded that the Repubs were able to out-raise the DNC. “For other campaign finance figures, including surprising financial success by the Republican Party aided by the president, continue reading below…” Unclear how it’s surprising that the sitting president is a successful fund-raiser.